Spend your days sailing among some of the 24,000 islands of the spectacular Stockholm Archipelago on your own private sailing boat with local skipper! Stop for lunch during the day (quite possibly moored at your own private island! ), and spend your nights aboard ship with the gentle lap of the water to lull you to sleep! Under the expert guidance of your local skipper, you will spend three days sailing through world-class island scenery. 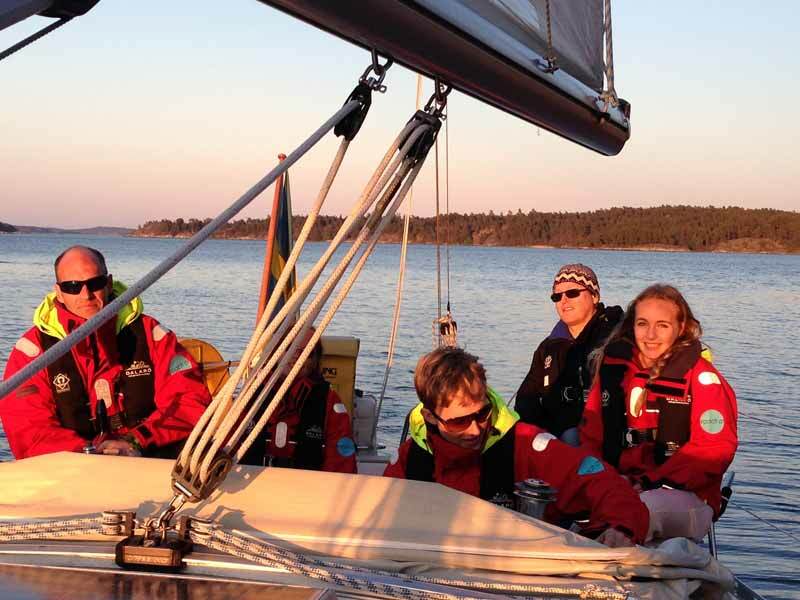 Sailing in the Stockholm Archipelago is suitable for a wide range of participants - whether you are looking primarily for a relaxing and enjoyable way to experience the archipelago, or have a particular interest in sailing, as the voyage is both holiday and sailing course! The boat can accommodate up to five guests so is ideal for couples, families or small groups. Photo: VOV. 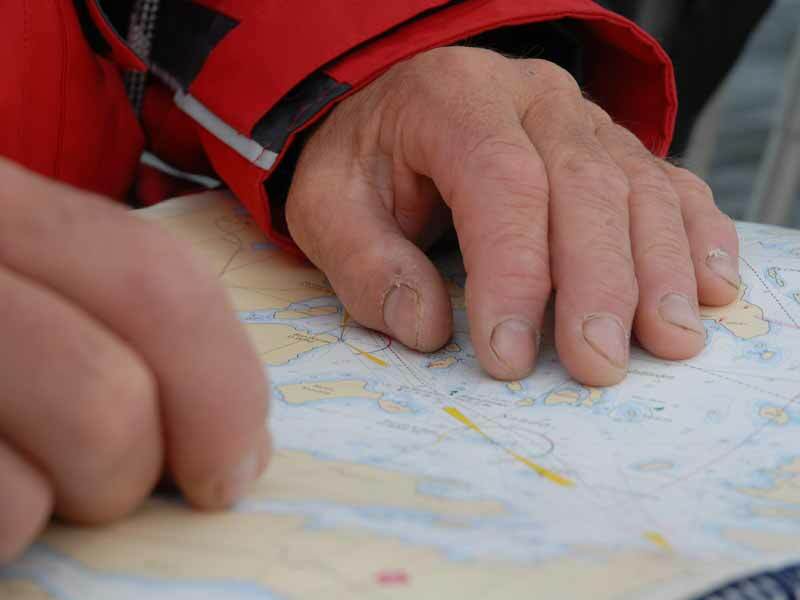 Novice sailors will learn a great deal about the basics of sailing and navigation, while the more experienced can hone their skills and have a chance to learn something of the special challenges and considerations of navigating in the archipelago. Everyone takes part both in the sailing of the boat and in the various tasks on board such as helping with the cooking and food preparation. Sailing in the Stockholm Archipelago is a wonderful way to combine the beauty of the archipelago landscape with a sailing adventure. In the evenings, you will moor in a natural harbour to provide a safe and comfortable night's sleep aboard ship. 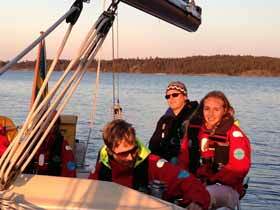 For those who wish, the trip provides a wonderful opportunity to learn to sail or improve your skills. Photo: VOV. This experience is suitable for couples, families* or small groups of friends and up to five guests can be accommodated on board. The boat has full facilities including galley, WC and fresh water shower. Choose an exclusive sailing adventure as a couple or bring along friends or the children - price is based on a minimum for two persons with additional persons at much reduced cost, making the per person price substantially lower for families or groups. *Max. 2 children aged 5-15. For safety reasons, number of children cannot exceed number of adult guests. 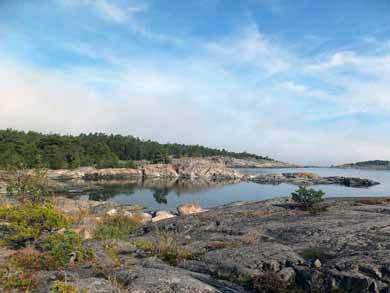 You begin from the harbour in the attractive coastal town of Dalarö at 17.00. This day you will do a short sail to overnight spot. Your exploration of the archipelago continues. You will moor for lunch during the day at a suitable spot and in the evenings in natural harbours. 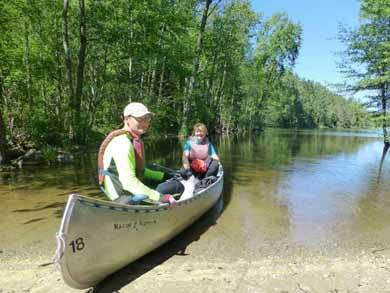 Route taken is adjusted to weather and wind conditions as well as the needs of the participants. Return to Dalarö approx. 17.00 after a full day's sailing. Min. duration 3 days/2 nights (extra nights optional). Between 1st May and 15th June and from 1st September onwards: Weekends only (start Friday end Sunday). One additional day to extend standard 3 days/2 nights itinerary may be possible. Between 16th June and 31st August (except 22nd-24th June, when no bookings are possible): Start any day by arrangement, standard 3 days/2 nights itinerary can be extended with extra day(s) on request. Weekend sailings in early October may also be possible on request. 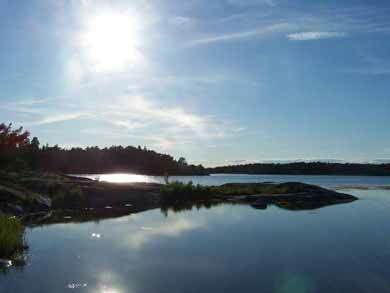 NB: Early and late in the season can be stunning and extremely quiet times to be out in the archipelago. If choosing dates at the beginning or end of the season, you should be prepared for cooler conditions and the water may be too cold for swimming in May/September. In early spring, there are more hours of daylight and winds are usually lighter than in autumn, though autumn offers stunning colours on the forested islands and cosy evenings. The boat has a cover for the whole cockpit for wet weather, which makes the living space larger and gives space for wet weather gear to dry. In case of cold or wet weather, it may also be possible to moor overnight at location offering sauna (additional charge payable locally for use of sauna). NB: Max. 2 children (for safety reasons, no. of children cannot be greater than no. of adult guests). Two days' sailing Day 2 and Day 3 plus short sailing Day 1 including instruction and two overnights aboard ship. All meals from dinner on Day 1 to lunch on end day (e.g. for 3 days/2 nights: 2 x breakfast, 2 x lunch, 2 x dinner + additional snacks, coffee, fruit, sweets, etc). Please advise in advance if you have an special dietary requirements. Foul weather outer clothing and sailing gloves (NB: adult sizes only - children must bring own rainproof jacket/trousers and sailing gloves). Life vests for adults and children. Adults have inflatable Crewsaver life vests, while children up to 40kg have orange lifevests with collar. The boat used is normally a Linjett 35 (as described below) or equivalent with similar specifications. Sleeping accommodation for six persons (five guests + skipper). There are 2 cabins with 2 beds in each. The stern cabin is particularly suitable for couples. The living area has two comfortable, spacious beds for additional two persons. All beds are full length (2m). Living area has standing height of 1.85m. The boat has full safety and security equipment on board including fire extinguisher, liferaft, lifesling, first aid kit, seasickness treatment, lifelines, extra GPS, VHF radio and emergency signals. Most importantly, your skipper will always adapt the route to take account both of wind/weather conditions and the needs of guests. General good health and fitness. You should enjoy life on the water and be comfortable living closely with others (this is a private experience, so persons on board will be only yourselves + skipper). Swimming ability required by all persons including children. Min. age 5 years. Max 2 children per group. NB: This experience may not be suitable for guests who are very sensitive/allergic to cat hair. When the boat is not out on a trip, a cat spends time on the boat and there may be traces of cat hair in the cabin. The cat of course will not be on board during a tour. The tour is a private, guided and catered experience with local skipper. The level of challenge can be adapted to a certain extent depending on the ability and wishes of the participants as well of course depending on weather and wind conditions. The boat can acccommodate up to 5 guests. For larger groups, sailings using a second boat with similar capacity can also be arranged - please contact us to discuss your requirements. Fly to Stockholm. Public transport from central Stockholm to Dalarö (approx. 1 hour). Ferry Dover-Dunkirk or Newcastle-Amsterdam for onward connections to Dalarö. 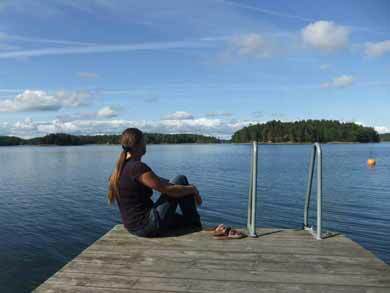 Read our blog article about the Stockholm Archipelago.